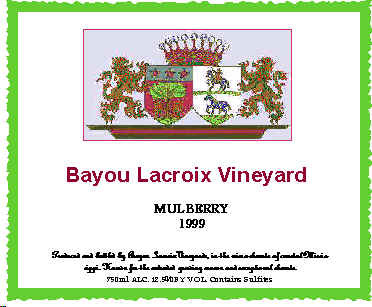 � Copyright Notice: These labels were designed by Bayou Lacroix Vineyards, and are exclusively Copyrighted. I routinely enter these labels in amateur label contests, and would not want to see someone competing against me with my own label designs. 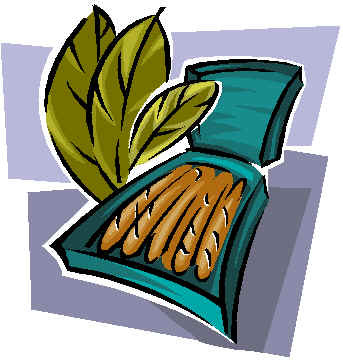 You can however get some ideas here if you would like, and then design your own using other clipart!!! 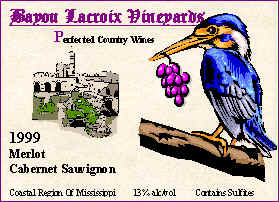 I did most of these in Microsoft Word using the avery label wizard. I had problems importing them into the HTML editor, as some of the graphics would not stay where I put them. So I just put them in where they would go, and only put a few of the labels here! !I had verticle text and other neat features that also would not import in, due the problem with layering in this editor.